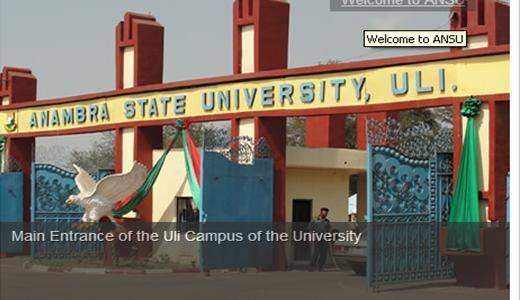 ANSU 2nd batch Post-UTME Screening for 2018/2019 academic session has been announced. Chukwuemeka Odumegwu Ojukwu, formerly Anambra State University (ANSU), hereby invites 2018 Unified Tertiary Matriculation Examination (UTME) candidate, who chose the university as first choice university and scored 170 or above in the 2018 UTME Post Unified Tertiary Matriculation Examination (P-UTME) Exercise. The vacant departments for application are: Urban & Regional Planning, Estate Management, Environmental Management, Mechanical Engineering, Civil Engineering, Chemical Engineering, Animal Science, Crop Science, Fishery, Education Programs, Maths & Statistics. Candidates are required to register on-line, on payment of the Screening Fee of Two Thousand Naira (N2,000.00) only, at any branch of these designated banks: Fidelity Bank Plc, Zenith Bank Plc and Eco Bank Plc. Pay at any branch of these Banks: Fidelity Bank Plc, Zenith Bank Plc and Eco Bank Plc. Access PIN code for authorized login into the University portal will be issued to candidates following payment at the banks listed above. Candidates who had registered for the first batch Screening Exercise should not re-register, as their data had been captured by the University. Candidates are also required to upload their O’level Results in the JAMB portal immediately if you have not done so, Else you will not be considered for Admission by JAMB. That is all on ANSU 2nd Batch Post-UTME Screening 2018/2019 Session. Posted by RABIU ABDULLAHI on October 12, 2018.